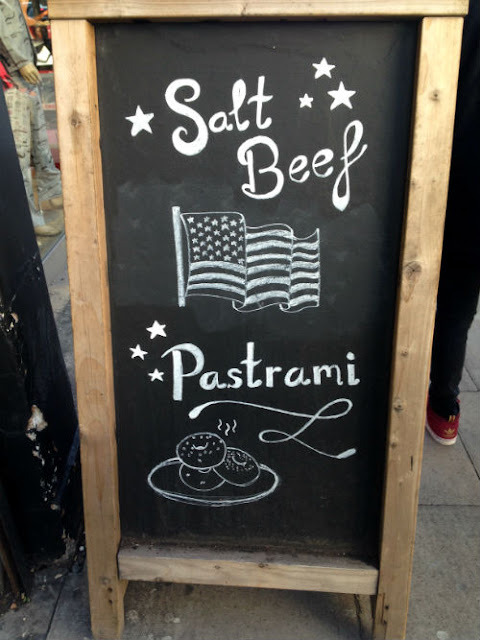 I'm eating around the world without leaving London and this week I had more American food; I had New York bagels at Bowery Bagels & Beans. 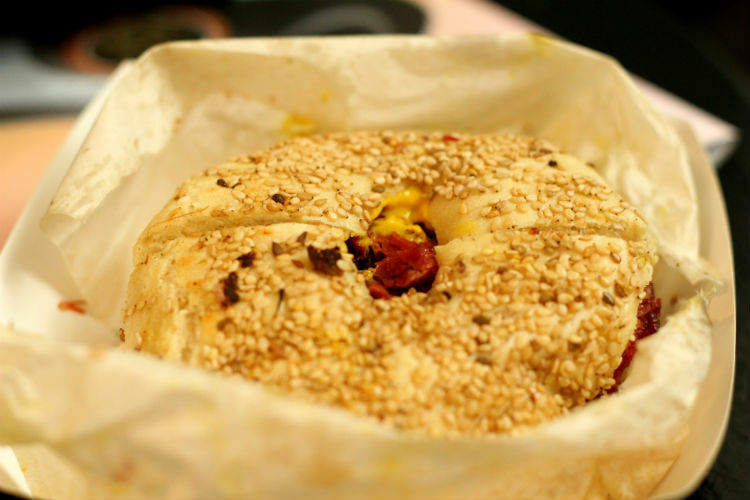 I know you can get amazing bagels on Brick Lane at Beigel Bake, but London couldn't have enough bagel places, if you ask me. Bowery Bagels & Beans is located in Chalk Farm, far away enough from the crowded Camden area. Even though it seems to be very popular for takeaways as well as eating in, we managed to get a table. It was busy, but no queues in sight. There is no table service, so orders are placed at the till. 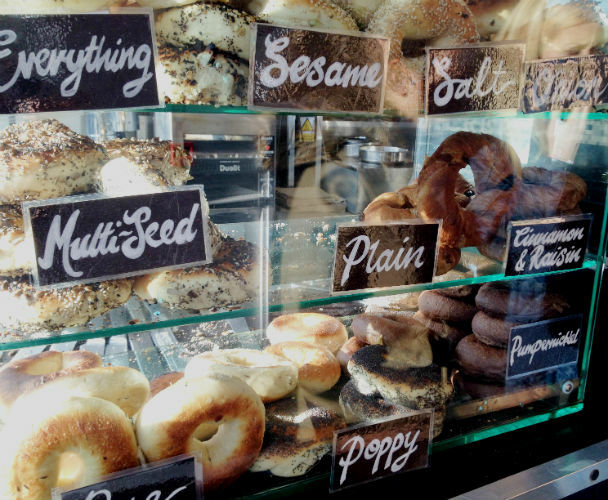 First you pick your bagel; pumpernickel, onion, multi-grain, the options are endless. Then you go for your favourite filling.The menu features a lot of varieties, ranging from the classics to the lesser known combos. There are the usual New York combos, such as pastrami, salmon and cream cheese, and even a Reuben(salt beef, sauerkraut and a special NYC sauce). There is a multitude of different cream cheeses; mixed with spinach and sun-dried tomatoes, chillies, or a chive one. 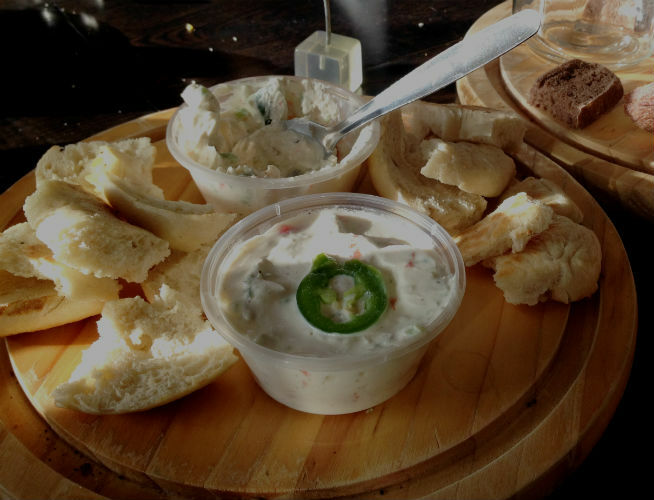 However, Bowery Bagels & Beans caters to the European palates as well and if you feel so inclined you can lather your bagel with marmite or nutella. I went for a salt beef and pickle sesame bagel, but I think a cinnamon bagel with a luscious glob of nutella sounds pretty amazing too. I do love a good bagel - Pastrami and cream cheese or rocket is my personal fav. If there was one of these near m in South Wales I would be in there all the time! Ah shame that you are so far away. Hopefully someone will open up a bagel shop there soon. 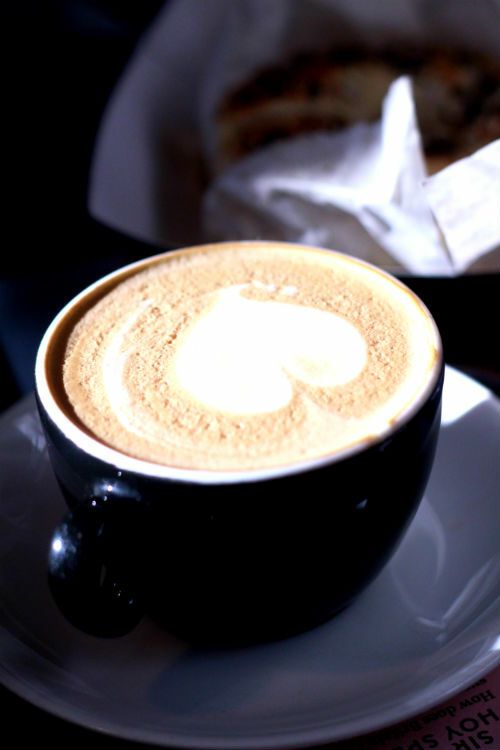 It was a very nice and sweet looking cappuccino indeed.